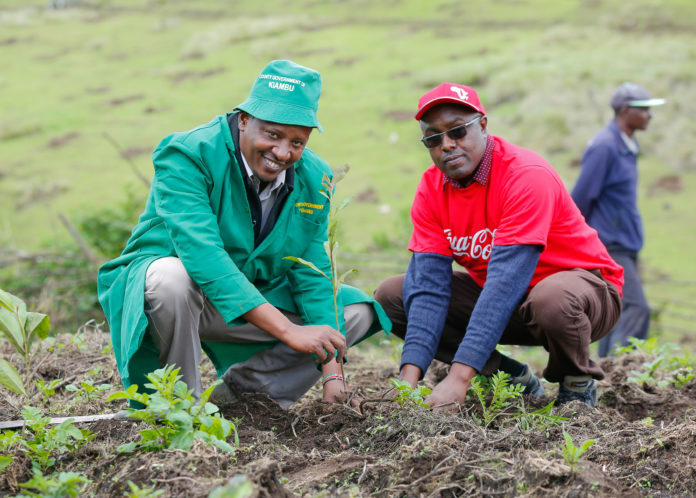 The Coca-Cola Bottlers Africa (CCBA) Kenya targets to plant 10,000 indigenous tree seedlings by the end of the year in an effort to conserve one of the country’s main water tower. As part of the activity to mark the World Water Day, the bottlers partnered with the County Government of Kiambu to plant 3,000 indigenous tree seedlings at Kamae Forest that feeds River Ndarugu in Kiambu County. The River Ndarugu is a tributary of Athi River and is one of the main sources of fresh water for communities living along the river bank and Nairobi City County and traverses Juja Township in Kiambu County. Isaac Nderiu, CCBA- Kenya Manufacturing Unit Manager said the bottlers will adopt a section of the forest to ensure it plants over 10,000 tree seedlings as part of its Source Water Protection Plan. “Protecting the water towers is vital. As part of our Source Water Protection Plan, our employees will plant up to 10,000 tree seedlings on this forest by year end,” he said. He said it was important to highlight the importance of freshwater and advocate for the sustainable management of freshwater resources especially during the World Water Day that was marked globally on Thursday. The World Water Day is celebrated around the world with a variety of events that include educational, theatrical, musical and lobbying in nature. The day can also include campaigns to raise money for water projects. The theme for 2018 is “Nature for Water” to encourage people to “look for the answer in nature” such as implementing nature-based solutions that could reduce floods, droughts, water pollution and to protect ecosystems. On her part, Caroline Keroo, CCBA Safety, Health, Environment and Quality Manager said it was important to safeguard sources of water especially the Aberdare Forest, which is one of Kenya’s main water tower. “We started this Source Water Protection Plan project over 10 years ago to ensure sustainable business,” she said. 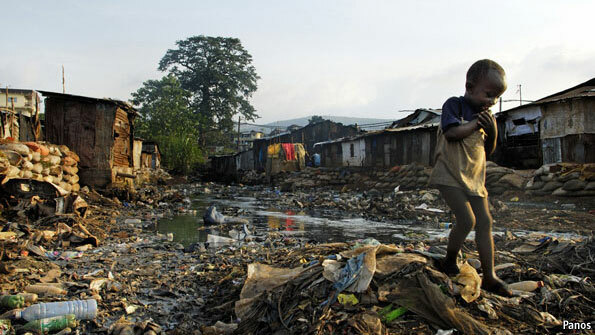 The focus on universal access to clean water, sanitation and hygiene (WASH) is in line with the targets of Sustainable Development Goal 6. Speaking at the same event, David Kuria, Kiambu County Executive Committee Member for Water, Environment, Energy and Natural Resources said it was important to educate the communities on the importance of forests as a way to protect water sources in the country. “As County Government of Kiambu we plan to plant a total of one million trees in the next couple of months as part of our conceited effort and contribution towards protecting water sources,” he said. The private public partnerships is vital to support the central government’s main project aimed at increasing the country’s forest cover from the current 7 per cent to 15 per cent by the year 2022.